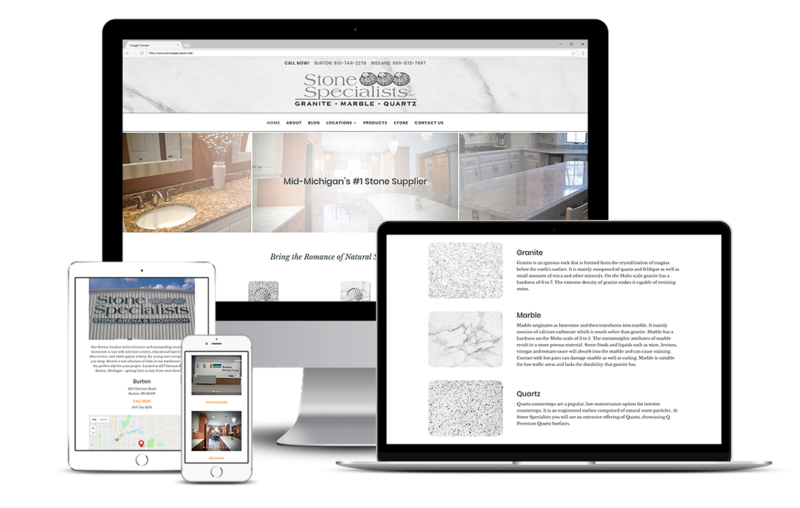 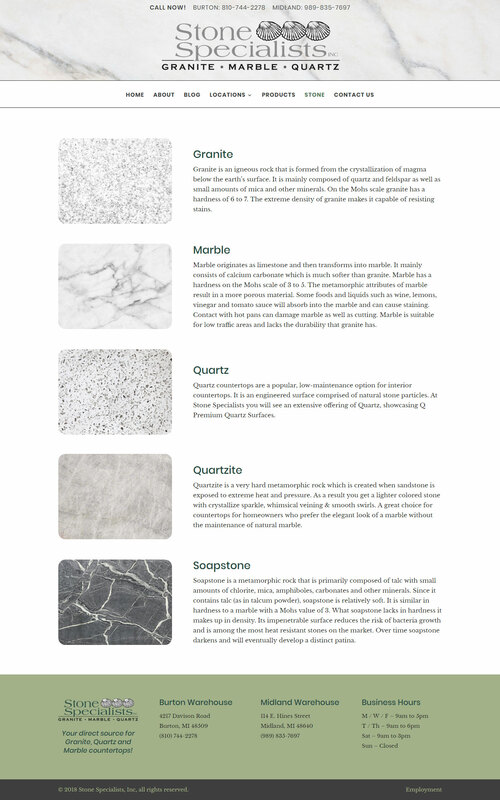 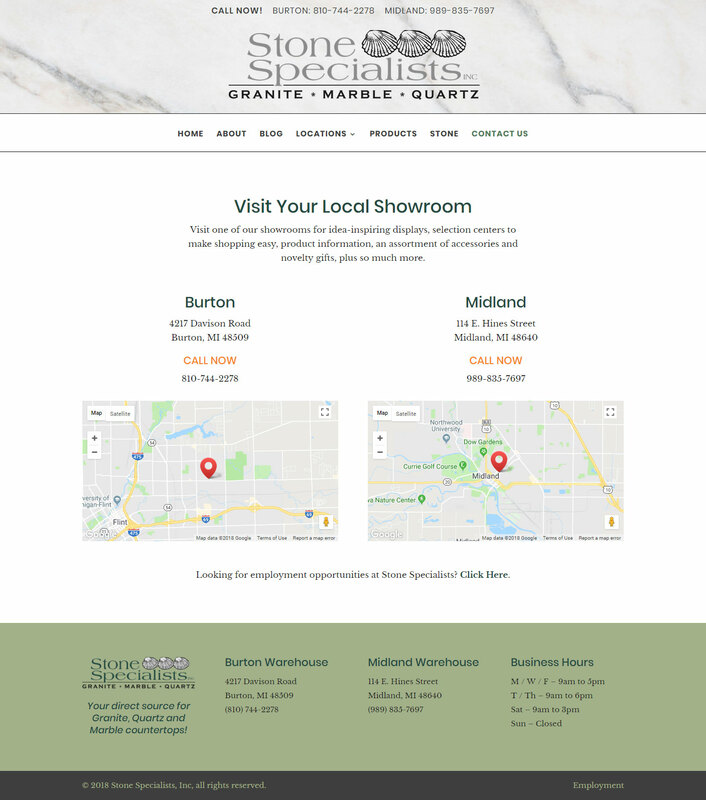 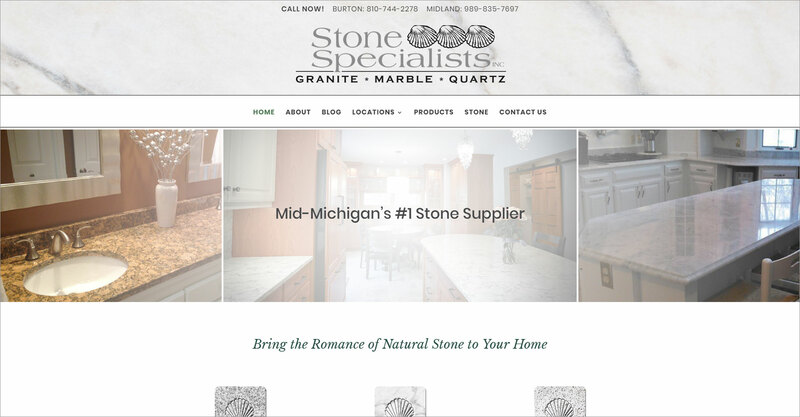 Stone Specialists is a stone supply company based in Burton, MI. 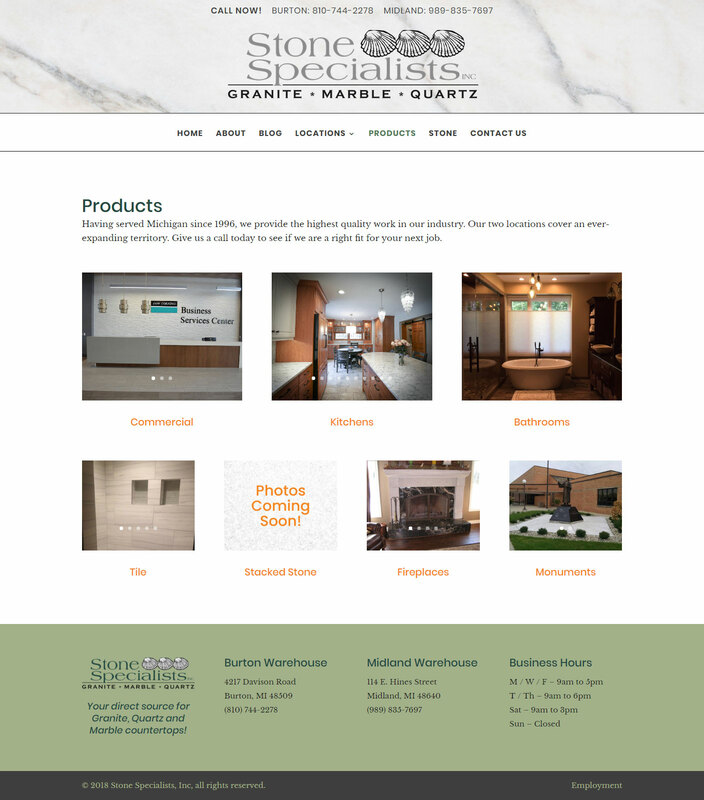 This website was built with the Divi theme from Elegant Themes and was contracted through Grafted-In, LLC. 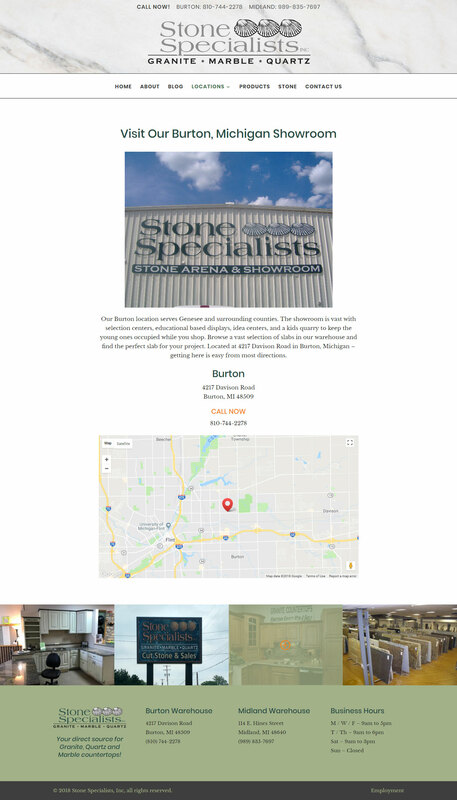 The build included custom icons, a rotating client logo carousel, and product galleries.